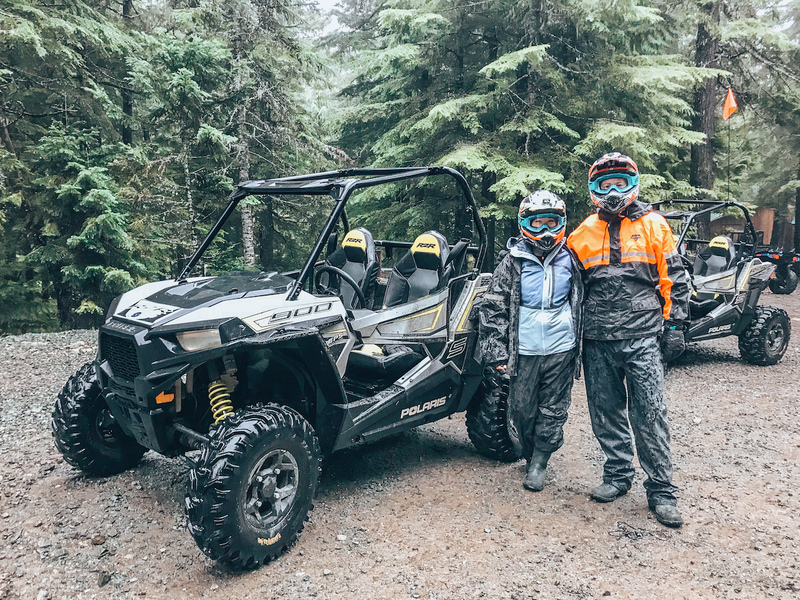 There’s not too many outdoor experiences I can think of that’s more fun in the rain, but an RZR tour in Whistler, BC is one of them! The Adventure Group is my go-to tour agency when I’m looking for a unique outdoor activity to do in Whistler. They offer zip lining, a tree-top obstacle course, white water rafting, bungee jumping and snowmobiling. One of their newest activities —introduced a few years ago — are RZR tours. 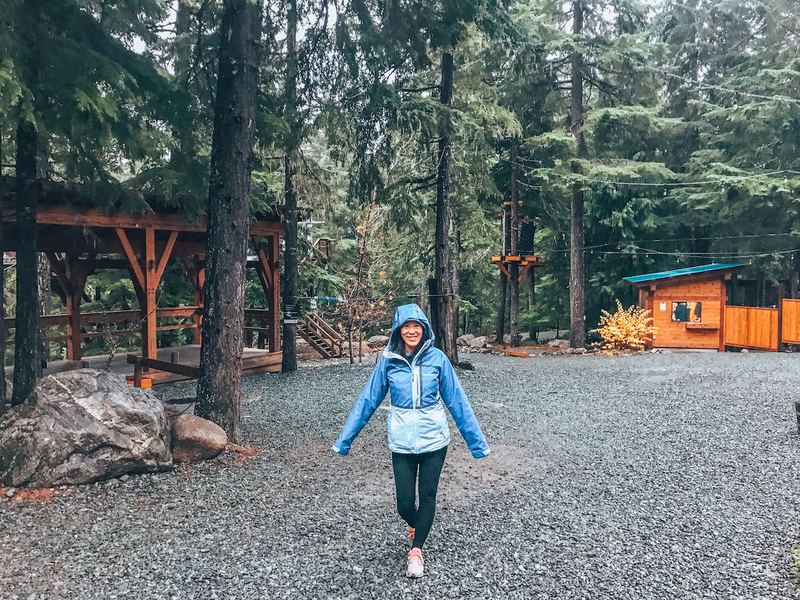 When we planned our weekend getaway to Whistler, our friends and family casually remarked: “Hope the weather in Whistler is better for you than in (rainy) Vancouver!” Well, it wasn’t. It was pouring in Whistler. And we had a 2-hour outdoor RZR tour scheduled with The Adventure Group. What’s an RZR? It’s basically a heavy-duty, ATV-like vehicle that carries up to two passengers in a cage-like vehicle. 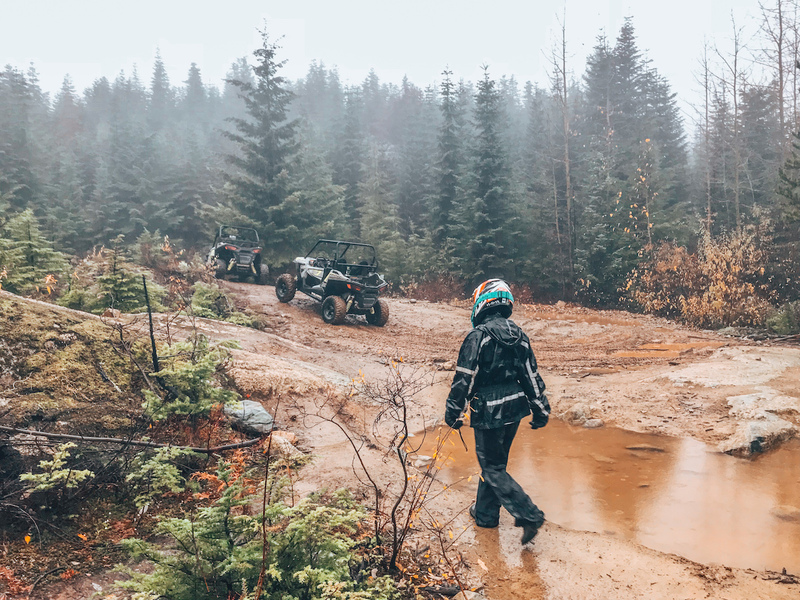 You and your passenger take turns driving, while a guide from The Adventure Group leads you on an off-road experience into Whistler’s beautiful backcountry, stopping at viewpoints for photo opportunities. Unlike an ATV where you accelerate using your hands (like a motorbike), an RZR you drive like a regular car with gas and brake pedals. There’s no roof on the vehicle, so when it’s raining out, there’s no escaping from getting wet. Think of the bumpiest road you’ve ever been on, double the intensity and you have the general terrain of the RZR tour. Rain or shine, the tours run. But after my rainy RZR experience, I highly recommend doing this IN THE RAIN. The rain fills the bumpy road with giant puddles, some as deep as half the height of our tire. The faster you go through the puddles, the bigger the splash, and the more FUN it is! I was already prepared for our rainy activity wearing my new OutDRY Rogue Interchange Jacket from Colombia Sportswear — a two-layered jacket with a warm puffer on the inside, with a removable rain-shell on the outside. That in itself would have kept the top half of me warm and dry! But to avoid the mud, we were given an additional layer of gear, including rain pants and rainboots. 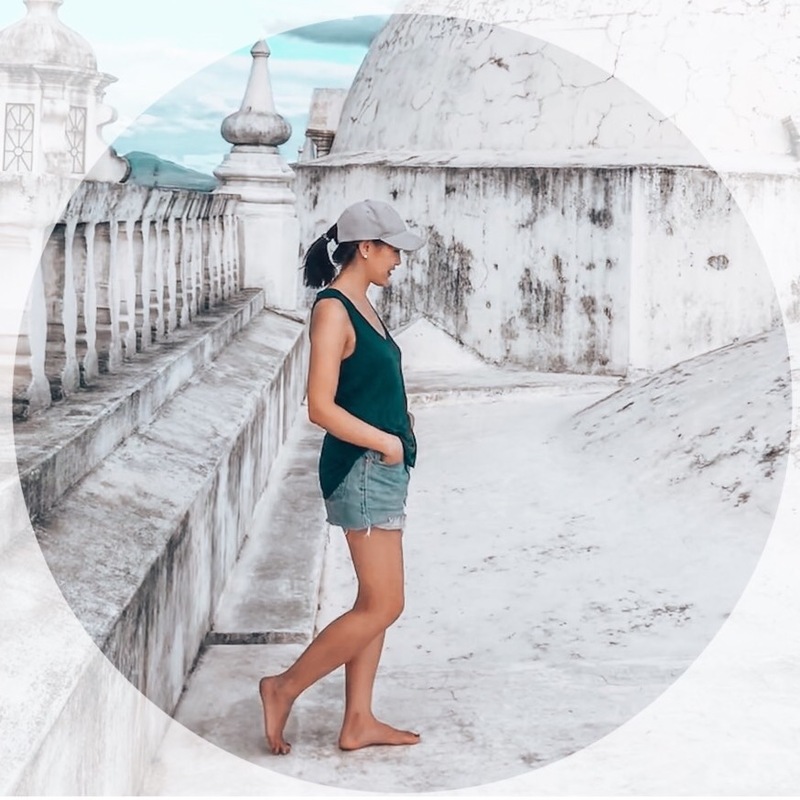 By the end of the tour, we were covered from head to toe in water and mud — thankfully, we could just change out of our borrowed clothes, and we were clean and dry again. The Adventure Group’s RZR tours run in the Spring, Summer and Fall. Our experience was in November so we pretty much caught the last RZR tour of the year, but when Spring comes around again, do not let weather hinder your decision when considering an RZR tour with The Adventure Group — we had a lot of fun driving in the rain and mud. For more information about RZR Tours with The Adventure Group, visit: tagwhistler.com. Thank you to TAG Whistler for hosting us on the RZR Tour. As always, all opinions are our own on Modern Mix Travel.